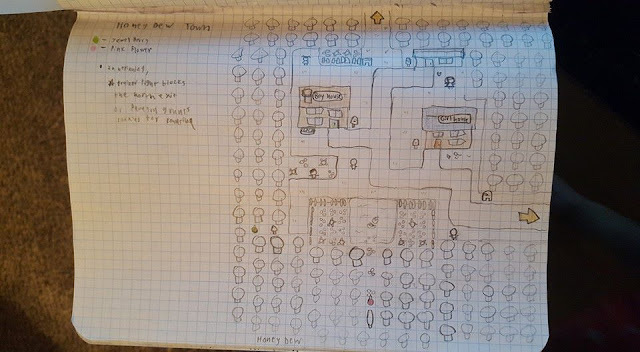 Been taking on the task of translating rough map sketches into detailed exact maps on graph paper. It's a matter of putting every detail from the design document down and marking out exactly how many steps it takes to get anywhere, roughly how many screens a zone will be, where items will be hidden, which buildings and NPCs I'll have to draw, and all the minor visual details. All this fuss so I only have to lay down tiles in the editor like I'm following a blueprint. And these definitely help make the game feel more real. 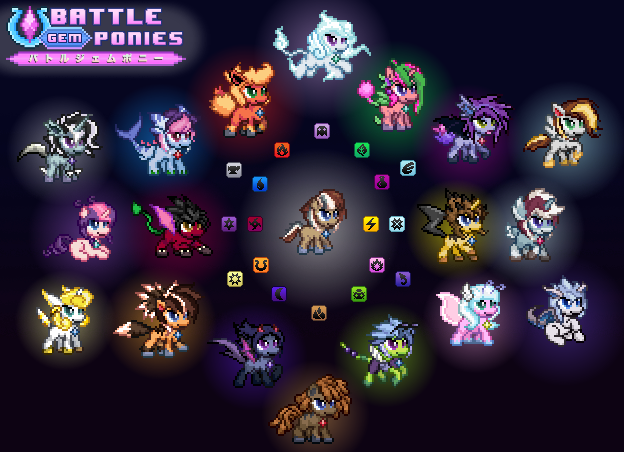 Actually seeing the game world has me super pumped to make it happen in full colorful pixelated glory! It's a tedious process though and will probably take another day or two, especially when I double check to make sure the cutscenes can play out how I want them to. 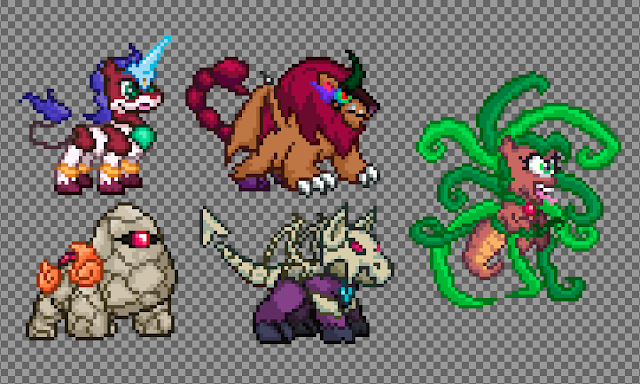 Also, still working on the last few Ultra form sprites to show off next week. 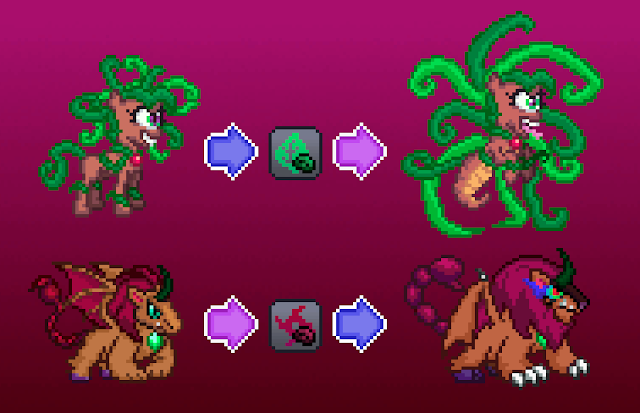 Ultra transformations are possible with the same meteorites that transform Ponatina. Things are picking up! 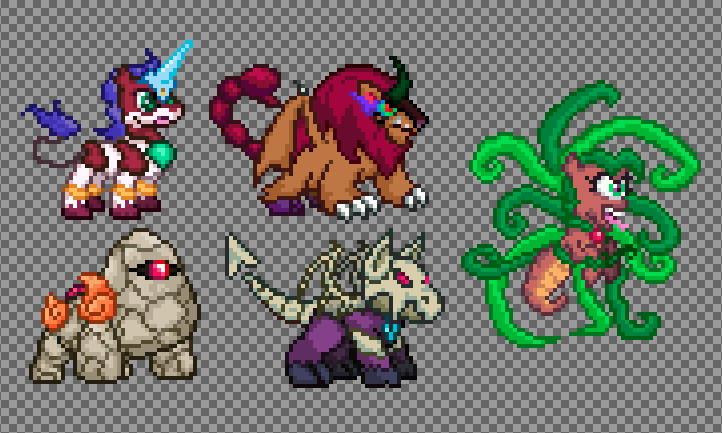 With the game's design all settled and the sprites finally wrapping up, there's interesting pictures to go around and hype people up with. I'm also able to give a much more solid pitch now that the entire vision is clear. All that's left is to get to that Alpha state... Time to continue the #gamedev march! Look below for the interesting events of the past week.